Is it just me, or is his expression the look of a man whose laxative just kicked in? So… some psycho nutbag shoots a Congresswoman in Tucson and the shell casings haven’t even hit the ground by the time the usual liberal suspects come out of the woodwork to inform us that it was caused by all that nasty right-wing hate-laden eliminationist rhetoric and that we need to “tone it down.” Way to wait for the facts, there, Sparky! If you really want to improve the tone of politics, perhaps the first thing you can do is avoid dancing in the blood of the injured and killed to score a political point. I wonder if I should bother even hoping for an apology from all who blamed the Tucson attack on ‘right wingers,’ ‘tea partiers,’ and Sarah Palin? I won’t be holding my breath on that one. Categories: Politics, What the heck? 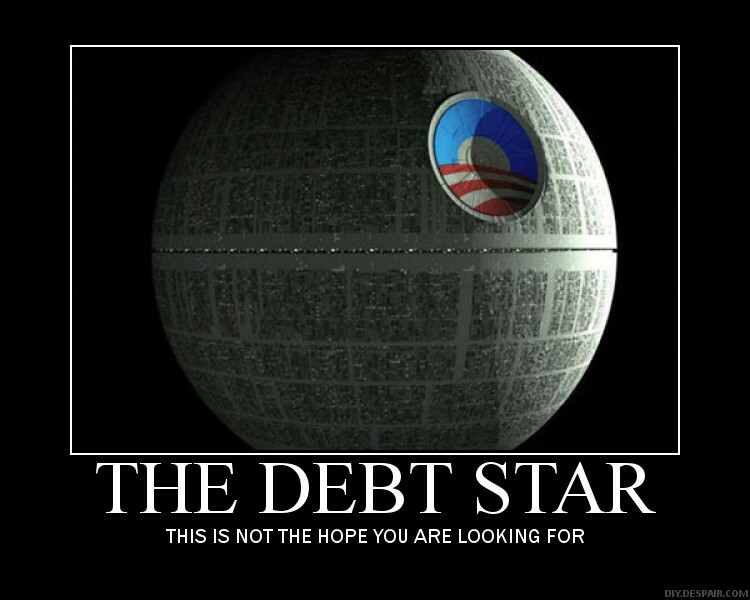 I feel a great disturbance in the Force, as if millions of taxpayers suddenly cried out in terror and were suddenly silenced. I fear something terrible has happened. H/T The Smallest Minority (original at AR15.com). Via Instapundit. Obama’s plan will guarantee that the nation’s elderly are shovel-ready. What many people may not know about the SCHIP bill that was signed into law recently by President Obama is that it includes a brutally high increase in federal excise taxes on cigars, pipe tobacco, and roll-your-own cigarette tobacco. This one seems to have never gained much publicity for some reason. I suppose I shouldn’t be surprised by that, given that smoking is so politically incorrect these days. The tax on roll-your-own cigarette tobacco goes from $1.0969 per pound to $24.62 per pound! The only way I found out about this was when I got a mailer from Finck Cigar Company about the new taxes. Our little family-owned, 115-year-old cigar factory will not be able to sell enough at the increased price to remain open, and our 59 employees, half over 50 years of age, will become unemployed. The brutal tax burdens from SCHIP will crush the small cigar businesses and the roll-your-own cigarette businesses. Thousands of American jobs in the myriad of support businesses such as tobacco growing, tobacco processing, package manufacturing, transportation and sales operations will be lost. I am proud of our new president and his repeatedly proclaimed intent to preserve and create jobs in the United States. Someone in his group has failed to recognize the loss of thousands of jobs resulting from the tax provision in SCHIP. This is basic economics, but it never fails to amaze me that people don’t get it. When you raise taxes on something, someone is going to have to pay for it, and if it’s something that is discretionary, people will buy less, which usually means that it’s the people at the bottom of the “social ladder” that get hit hardest. Still, I can’t help but feel a bit of Obamanfreude at his predicament (as it sounds like he was an Obama supporter). Anyhow, back to the matter at hand… I guess I am going to have to stock up before the tax tsunami hits. I will either get a bigger humidor or get a couple more smaller ones as well as three or four boxes of cigars. It’s more than I would usually spend, since I generally buy them by the stick or buy samplers so I can get 5 or 10 at a time (as compared to the usual 50 in a box). At the rate I smoke them, four boxes would probably last ten years, but at least I’d be set against supply disruptions as the cigar industry adjusts and consolidates itself in the new environment. Obamanfreude – 1. taking pleasure from the discomfort of Obama supporters as they come to realize that The Chosen One™ is just another Chicago politician. 2. taking pleasure from the misfortunes of an Obama supporter as he or she is adversely affected by the policies of their Dear Leader.